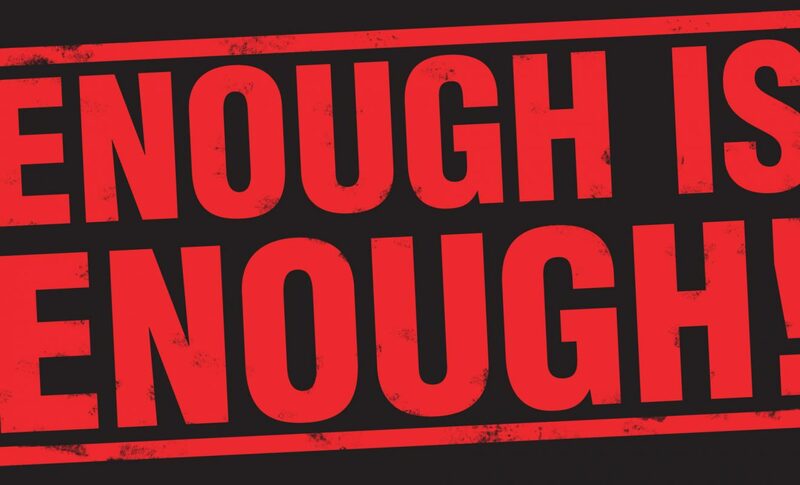 Enough is Enough — It is Time to Call for Action! Today I grieve for the families who are in mourning. Today I grieve for an angry, violent society that has lost its way. Since last week, we have seen a horrible surge of sadness and anger from Americans all across the country — another mass shooting. Another one committed by a young man. One of the worst mass shootings in America – Marjory Stoneman Douglas High School – as if such rankings matter. From Arizona to Colorado, to Oregon to Connecticut, to Las Vegas to Parkland, Florida – these mass murders will not end. Innocent children losing their lives. How many more children must die before we say enough is enough? When are we going to have the responsibility to take care of each other? How can we let this keep happening? It’s past time to face reality. We, as a nation, need to do better. In the wake of the unspeakable horror of children being killed while at school, now is the time for action and … for sensible gun control laws. Gun control doesn’t have to mean no guns. Arguments can be made for shotguns and rifles for hunting and handguns for protection. Somewhere, between these moments – the legitimate use of guns for hunting, and the too-easy access to guns by children and the mentally ill – there needs to be a solution. For me, that solution lies in sensible gun control measures. Sensible gun control, even while keeping the Second Amendment should be easy, but there are many politicians who refuse to act. Reasonable constitutional limits on weapons that have no other use than mass murder are achievable and the failure of our leaders to make this happen is unconscionable. Common sense would dictate that Congress should act to implement sensible gun control legislation, including a ban on weapons like the AR-15. It’s time to ban assault weapons. We need to make this moment a movement and to actually make changes that need to happen in this country. Enough … it is time to call for action. As a nation, as elected officials and as individuals we are obligated to break the log jam against gun reform. Do you know where your local elected representatives stand on gun control? In Tredyffrin Township, we are about to find out where our locally elected officials stand on sensible gun control! Newly elected Tredyffrin supervisor Matt Holt is stepping up to the plate on gun control at Tuesday, Feb. 20th Board of Supervisors meeting, 7 PM at the township building. Matt will introduce a resolution calling for state and federal representatives to enact sensible gun control legislation. Although local governments cannot pass gun laws, they can act as a voice for the people to push common sense reform. (Proposed resolution follows the post). I supported Matt in November’s election for his strong support of historic preservation – now a few months into his new role as supervisor; I know that I made the right decision. Although unclear as to why Matt’s proposed resolution in support of sensible gun control legislation was not permitted on the Board of Supervisors meeting agenda, he will present it under the township’s ‘new business’. An easy first step to for sensible gun control legislation, it will be important for the public to know how Mr. Holt’s fellow Tredyffrin Township supervisors vote on the resolution supporting sensible gun control legislation. WHEREAS, this resolution has been considered and passed by multiple local governments in the Commonwealth of Pennsylvania. Preventing known and suspected terrorists, those convicted of violent hate crimes and those with a history of domestic abuse from illegally buying guns. Funding research into the effect of gun violence and gun safety technology. Requiring trigger locks on all homes where children are present. Banning access to assault-style weapons. Reducing the number of permissible cartridges in a clip or magazine. 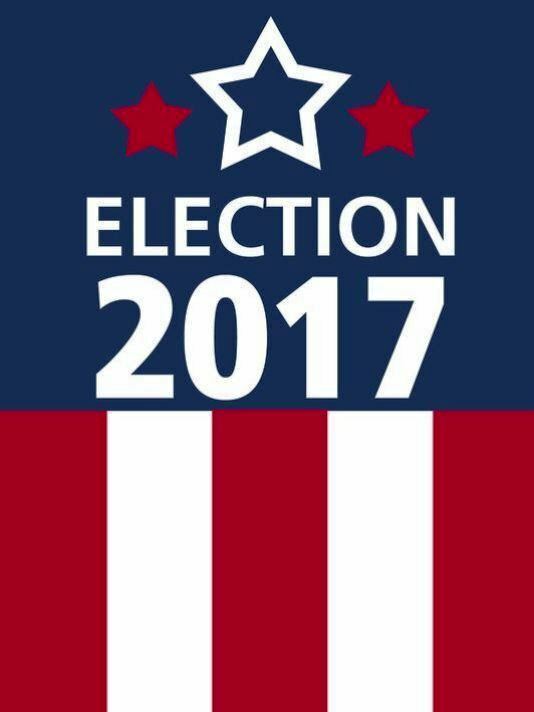 The results are in for Tredyffrin Township Board of Supervisors and the TE School Board. Four supervisor seats and five school board seats were up for grabs with only one incumbent supervisor candidate, Paul Olson (R) and one incumbent school board candidate Kris Graham (R) seeking reelection. The four open seats on Tredyffrin Township Board of Supervisors went to the Republicans and three of the five seats on the TE School Board were won by Democratic candidates. Thank you to all candidates for your time, energy and willingness to serve as township supervisors and school district directors. Congratulations to those candidates who won and we look forward to your service to the community. All results are from the Chester County Voter Services website.